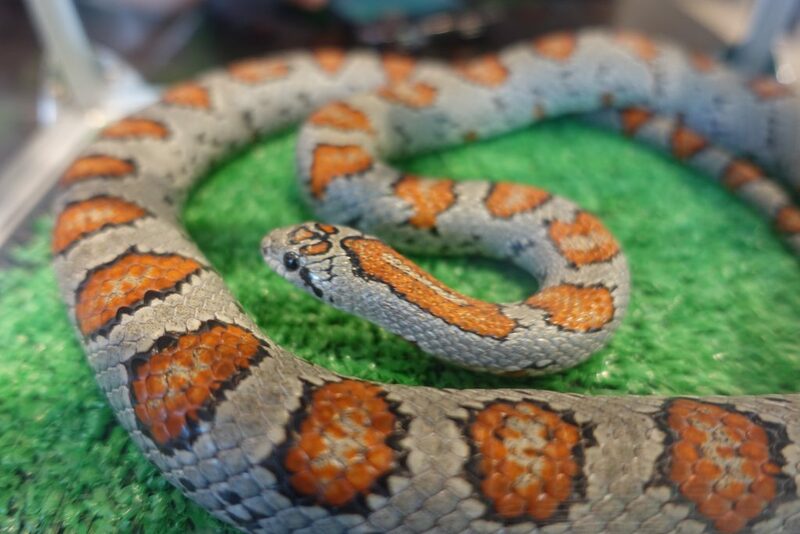 Managed to convince a friend to come with me to this snake cafe and despite the fact they initially said they didn’t like snakes, my friend said that they actually enjoyed the experience quite a bit. He was way too jumpy whenever a snake moved though and almost dropped one which would not have been a good idea. 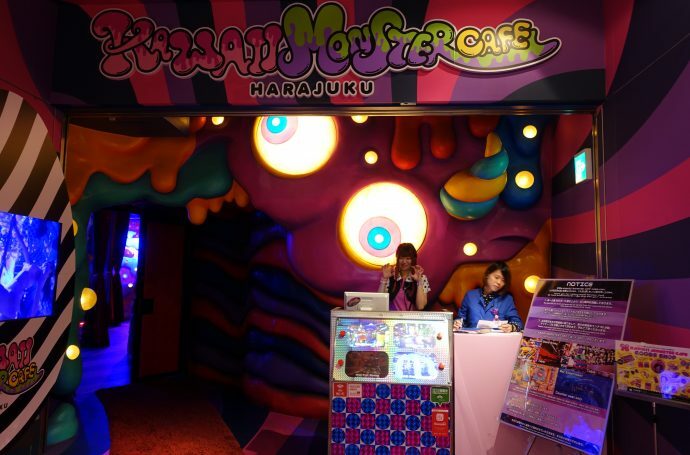 At the entrance, you’re given the opportunity to choose a ‘table’ snake to keep you company at your table. These are small snakes and you aren’t allowed to take them out of their cases. 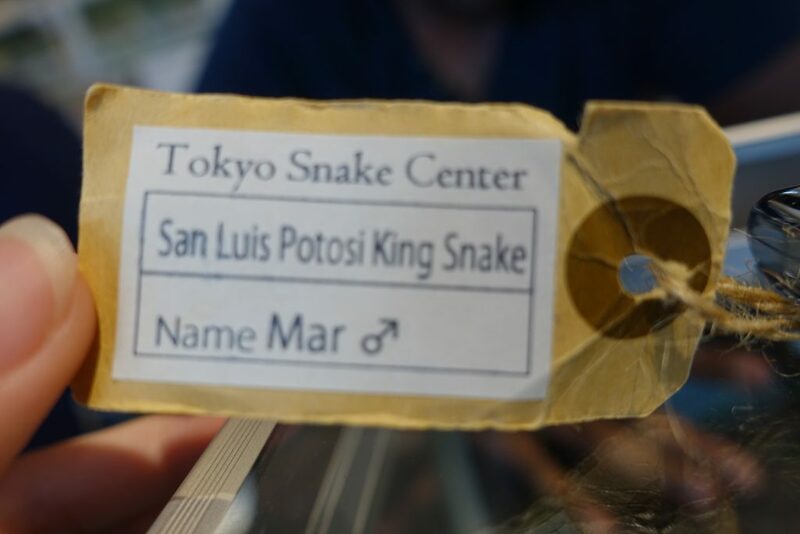 All the snakes have tags attached to their cases showing their breed, name and gender (top right). 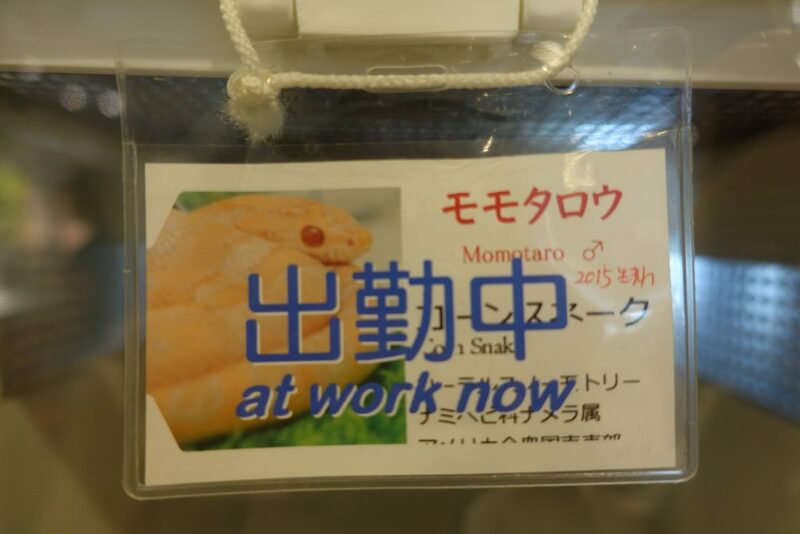 Some of the ‘petting’ snakes which are located further inside can also be seen from a glass window and those that were currently on duty had a cute sign saying “at work now”. Here you can see some videos of us holding the snakes. 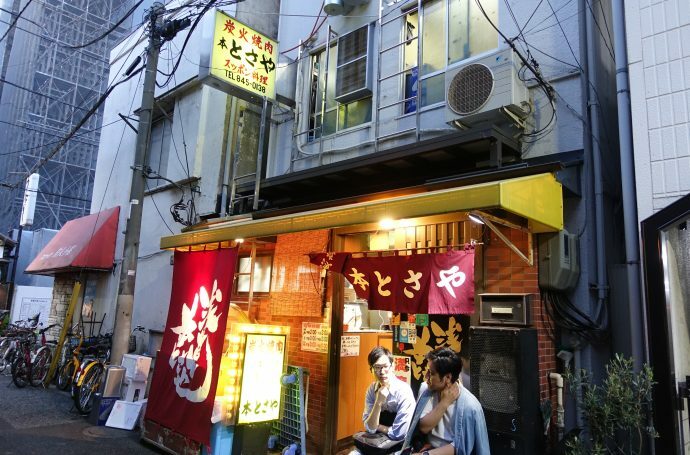 You are allowed to choose 1 snake per person and usually go up in pairs so you can technically hold 2 when you share with a friend. 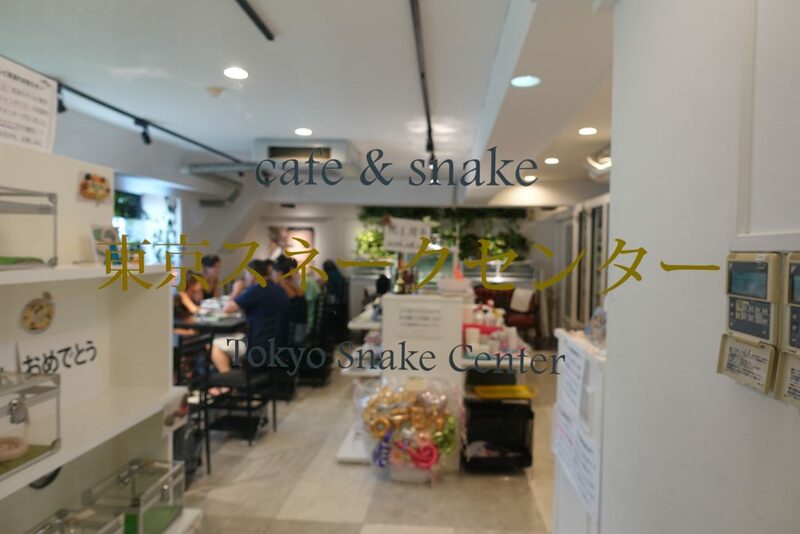 The staff are very friendly and you can feel free to ask them what kind of personality snakes have before choosing if you prefer a energetic or calm snake. We went with one energetic (white) and one calmer (boa). 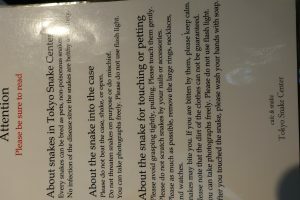 You can see in the video how different they are as the white snake would not stop trying to slither off somewhere whereas the boa didn’t really care what was happening. There is no time limit to holding the snakes however you only get to do it once so make sure to savour it. You need to order at least 1 drink per person each to be able to hold the snakes which is easy enough as you may have to wait for them to become available anyway.